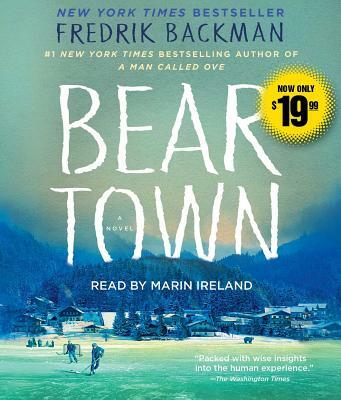 The #1 New York Times bestselling author of A Man Called Ove returns with Beartown—an instant New York Times bestseller—about a forgotten town fractured by scandal, and the amateur hockey team that might just change everything. People say Beartown is finished. A tiny community nestled deep in the forest, it is slowly losing ground to the ever encroaching trees. But down by the lake stands an old ice rink, built generations ago by the working men who founded this town. And in that ice rink is the reason people in Beartown believe tomorrow will be better than today. Their junior ice hockey team is about to compete in the national semi-finals, and they actually have a shot at winning. All the dreams of this place now rest on the shoulders of a handful of teenage boys. Beartown explores the hopes that bring a small community together, the secrets that tear it apart, and the courage it takes for an individual to go against the grain. In this story of a small forest town, Fredrik Backman has found the entire world. “Like Friday Night Lights, this is about more than youth sports; it’s part coming-of-age novel, part study of moral failure, and finally a chronicle of groupthink in which an unlikely hero steps forward to save more than one person from self-destruction” (Kirkus Reviews).